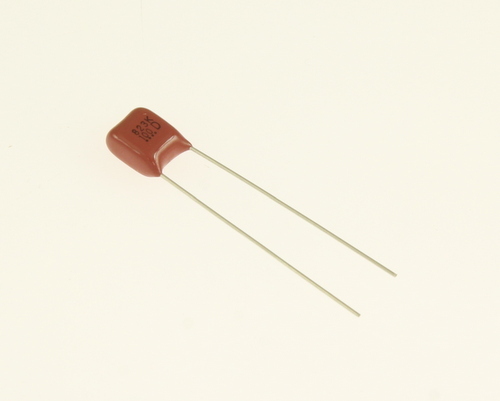 ECQE1823KF radial film capacitor. Capacitance: 0.082uF at 100V. Tolerance: 10%. Dielectric: metalized polyester. Lead spacing: .2 inch.